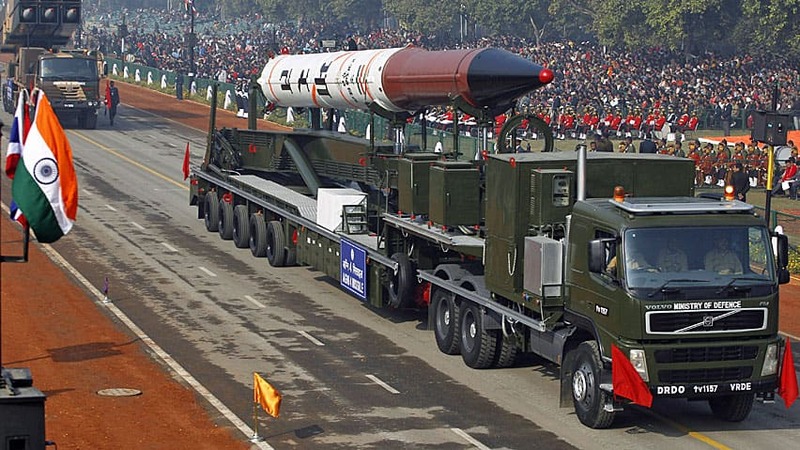 NEW DELHI (AP) — India is planning to test launch a new nuclear-capable missile that for the first time would give it the capability of hitting the major Chinese cities of Beijing and Shanghai. The government has hailed the Agni-V missile, with a range of 5,000 kilometers (3,100 miles), as a major boost to its efforts to counter China’s regional dominance and become an Asian power in its own right. The test launch was slated to come as early as Wednesday evening, but Indian media said a delay was likely because of poor weather conditions. “It will be a quantum leap in India’s strategic capability,” said Ravi Gupta, spokesman for India’s Defense Research and Development Organization, which built the missile. WASHINGTON – More than one billion urban residents will face serious water shortages by 2050 as climate change worsens effects of urbanization, with Indian cities among the worst hit, a study said Monday. The shortage threatens sanitation in some of the world’s fastest-growing cities but also poses risks for wildlife if cities pump in water from outside, said the article in the Proceedings of the National Academy of Sciences. The study found that under current urbanization trends, by mid-century some 993 million city dwellers will live with less than 100 liters (26 gallons) each day of water each — roughly the amount that fills a personal bathtub — which authors considered the daily minimum. 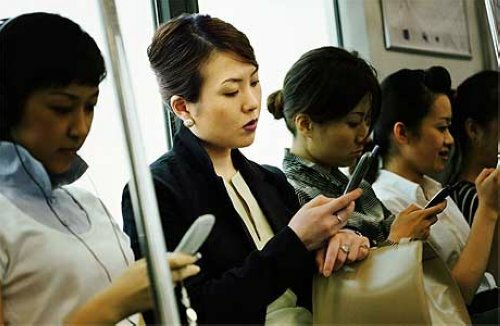 He spoke English, but another caller, repeating the same phrase on Monday in Chinese over a different phone, was also cut off in mid-sentence. NEW DELHI: “India is conscious and watchful of the implication of China’s evolving military profile in the immediate and extended neighborhood,” says Indian Defence Ministry’s Annual Report for 2010-11. 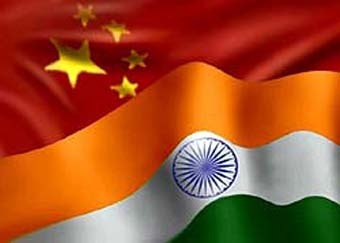 Even as the report says that the country’s relation with China are of “crucial importance” and its policy is to engage Beijing is based on principles of “mutual trust and respect and sensitivity for each other” it has made it obvious that Chinese specific military preparations by India are under consolidation and will gain momentum in future. Indian military formations, till now have been mostly field formations capable of undertaking operations in plains and not high altitude mountainous terrain which comprises country’s borders with China. 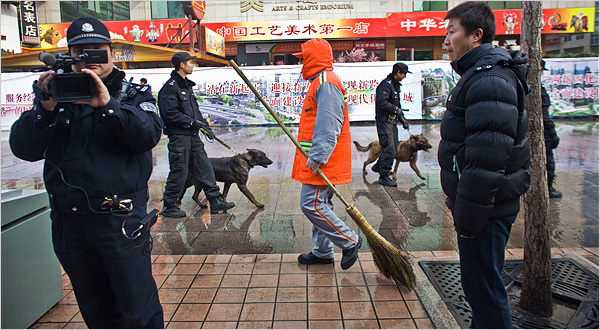 A police officer, left, filmed a foreign journalist as street cleaners swept water to keep passersby moving and a plain clothes officer, right, watched pedestrians on Sunday along Wangfujing Street in Beijing, where a protest had been called. Iran and China could as two ancient civilizations play an effective role in establishing a new justice-based world order, President Mahmoud Ahmadinejad said Tuesday. He made the remarks in a meeting with the new ambassador of China who was meeting with the Iranian President to submit his credentials to him. Referring to the common economic and political points between Iran and China, President Ahmadinejad said promotion of Tehran-Beijing bilateral ties was one of Iran’s top priorities. Meanwhile, the Chinese diplomat referred to Iran as a great and ancient civilization which enjoyed a high position among the Middle Eastern states. He added that Iran has also been playing a great role at the regional and international arenas. The Chinese ambassador stressed the need to further activating existing potentials to upgrade bilateral cooperation between the two capitals.